Greece is a truly unique location. 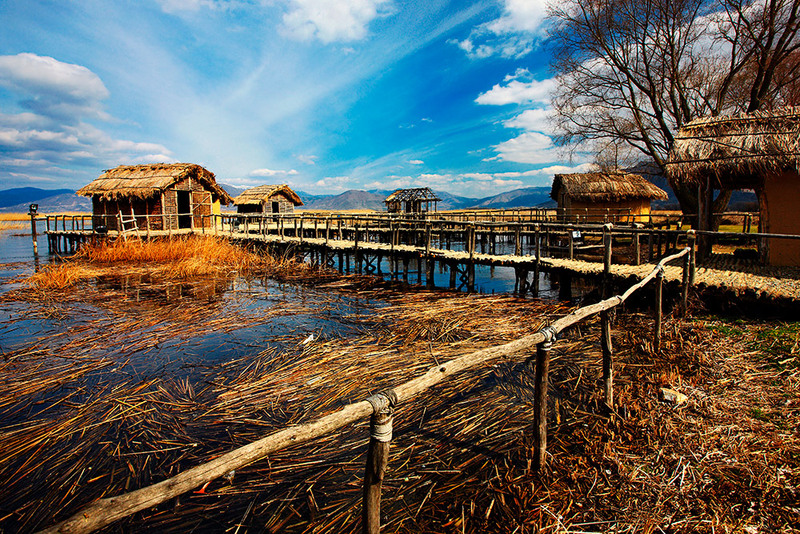 Despite its small size, the country enjoys a particularly pure and diverse natural environment that offers everything from scenic island getaways to cozy mountain retreats. The country’s stunning topography provides the backdrop for an unequalled array of recreational opportunities. This, combined with a spirited lifestyle that blends the Mediterranean’s ancient and modern culture, makes Greece a simply extraordinary place to be-and a wonderful place to call home. It doesn’t matter if you’re eating at a neighborhood “tavern”, a traditional “ouzo bar”, or in a Michelin-starred restaurant. 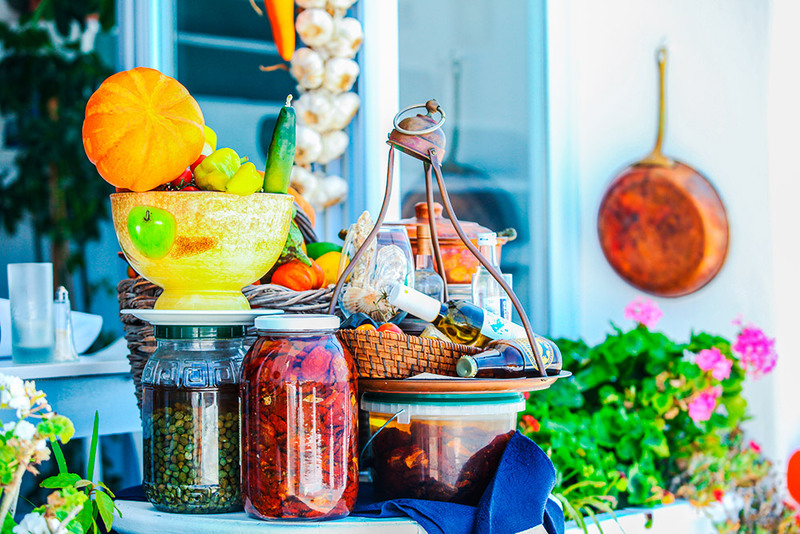 From the freshest seafood to aromatic ground coffee, specialty olive oils to artisan cheeses, tempting patisseries to sumptuous yoghurts, eating and drinking well is not only one of the pleasures of living in Greece, it is also a pre-requisite. 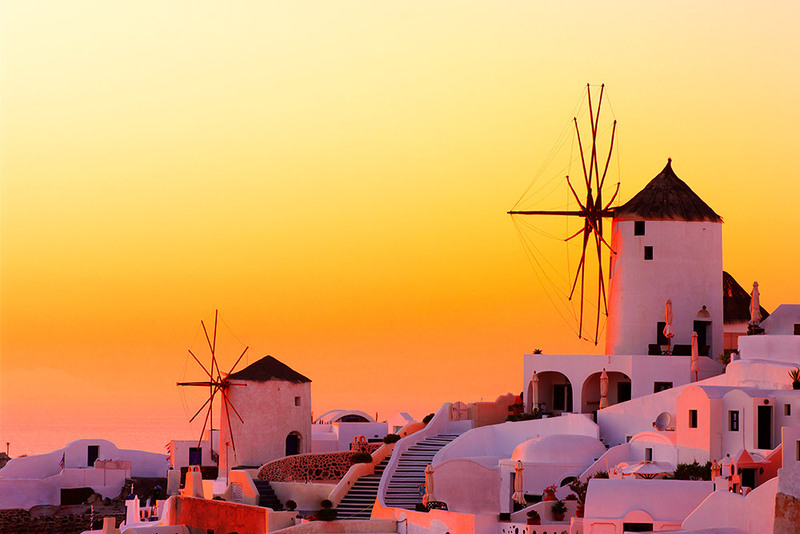 And, of course, whether they are harvested from the volcanic slopes of Santorini or the rich soils of Nemea in Peloponnese, Greece’s globally celebrated wines are just one more gastronomic perk of the Hellenic life. 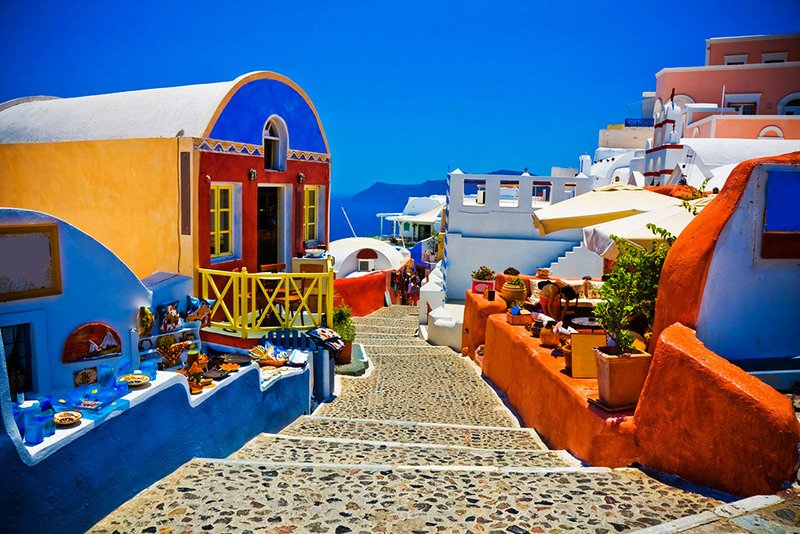 The climate in Greece can overall be described as pleasant and is predominantly Mediterranean. 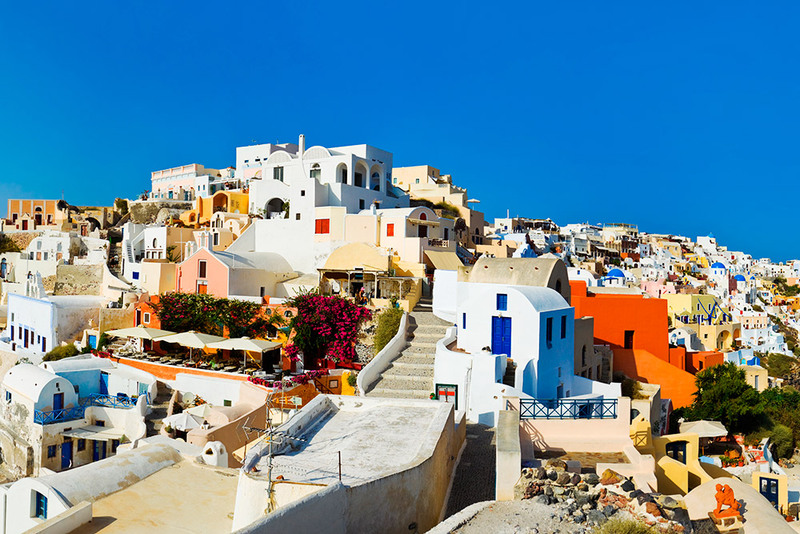 However, due to the country’s unique geography, Greece has a remarkable range of micro-climates and local variations. To the west of the Pindus mountain range, the climate is generally wet. The east of the Pindus mountain range is generally drier and windier in summer. The highest peak is Mount Olympus at 9,570 feet (2,916.9 m) tall. 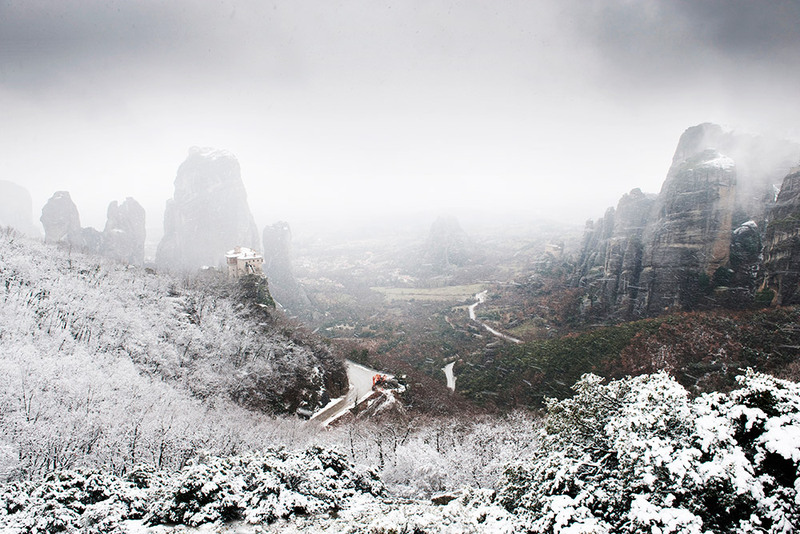 The north areas of Greece have a transitional climate between the continental and the Mediterranean climate. There are mountainous areas that have an alpine climate. This climate occurs in the Aegean Islands, especially the Cyclades and the Dodecanese, southern and Evia, low-lying areas of Attica, the western, eastern and south low lying Peloponnesus areas, and the low-lying areas of Crete. During the summer, the weather is almost always sunny and dry, and any precipitation falls in the form of showers or thunderstorms from cumuliform clouds. The air is usually hot during the day and pleasantly warm at night, but there are some very windy days, especially in Cyclades (there a wind which blows in the Aegean sea in summer but it does not make problems) and the temperatures these days are lower than the normal days. Winters are wet and any snow that falls does not last long, especially in the south-facing slopes. Rain in winter is often persistent but it doesn’t last for a lot of days. In this climate, the winter is harsh with abundant snowfalls, while the summers are cool with frequent thunderstorms. This climate is to be found on high mountains. This climate has characteristics of continental and Mediterranean climate. The winters are colder and wetter with cloudy or rainy days, and snow occurs 3-5 times in winter and once in March, but it doesn’t last for a lot of days. In this climate, there are lot of thunderstorms and showers in summer, but don’t last for a lot of time. This type of climate is found in the Thessaly, Macedonia and Thrace.